Google’s (s GOOG) investments in clean power are now rivaling that of stand alone clean energy investors. Monday morning, the search engine giant said it has invested $100 million in the world’s largest wind farm, the 845 MW Shepherds Flat project under construction in Oregon. With this investment, Google has put more than $350 million (a jaw-dropping amount for an Internet company) into clean power. The investment in the Shepherds Flat project follows on a $168 million investment announced last week into a solar thermal project being built by startup BrightSource Energy in California’s Mojave Desert, as well as a planned $38.8 million investment into 169.5 MW worth of wind projects developed by NextEra Energy Resources in North Dakota, and a €3.5 million ($5 million USD) investment in a solar photovoltaic farm in Brandenburg an der Havel, Germany, which is near Berlin. In addition to its investments, Google’s subsidiary Google Energy — which can buy and sell electricity on the wholesale markets — plans to buy 114 MW of wind power from an Iowa wind farm owned by NextEra Energy resources. Google says it’s interested in backing the world’s largest wind farm partly because the project will use next-gen wind tech, permanent magnet generators, which can improve the efficiency of turbines, and increase the reliability of the grid connection, and which aren’t readily used in currently installed large utility wind farms. The Shepherds Flat will use GE’s (s GE) 2.5xl wind turbines. The Shepherds Flat wind farm is anticipated to be the largest in the world when it is fully built sometime in 2012. It’ll stretch across 30 square miles of Oregon, and will cost $2 billion to build. 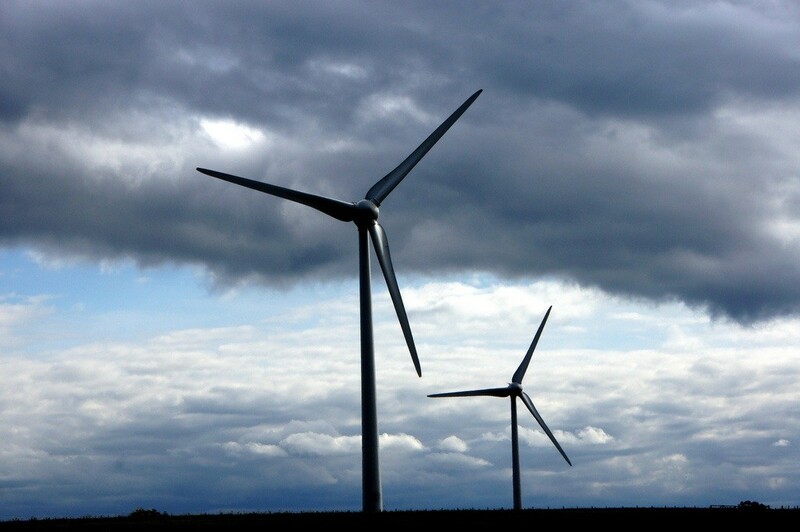 Southern California Edison, a utility, has entered into a contract to buy the wind power. Google’s co-investors in the farm’s most recent funding include a subsidiary of Japanese giant ITOCHU Corporation, Tyr Energy, and a subsidiary of Sumitomo Corp.: Sumitomo Corp. of America. Along with Google, the three companies have put around $500 million into the farm. Previous investors and partners on the farm include GE unit GE Energy Financial Services (s ge) and wind developer Caithness Energy. Google launched its “RE<C” program back in 2007, which is geek speak for Google’s “renewable energy cheaper than coal” project. The goal was to spend “tens of millions of dollars on R&D,” and ultimately produce a “gigawatt of renewable energy capacity,” over several years. You’re probably wondering what on earth Google wants to do with clean power. One of the main incentives for Google is financial returns. Rick Needham, Google’s green business operations manager, told me last year the North Dakota wind farms were an attractive deal for Google on the basis of the returns alone. But Google’s subsidiary Google Energy will also likely have first dibs on the option to buy any available clean power from projects that Google invests in. Google didn’t actually say it would be using the clean energy from The Shepherds Flat project, but that could be an option one day. California utility Southern California Edison currently has a deal to buy the clean power. Google’s Green Energy Czar Bill Weihl (who will be speaking at Green:Net 2011 on April 21 in San Francisco) made it clear to us in interviews that Google Energy is also ultimately about being able to procure energy, specifically clean energy, to power the search engine giant’s data centers. Google can enter into a power purchase agreement contract with, say, a wind or solar developer, agree to buy the clean power before the project is built, and help the developer get a better interest rate for the financing of the plant. Given Google’s data centers largely already have their own power sources, Google could then sell the clean power on the open market until one of its data center power contracts expired. Check out a video clip of Weihl being interviewed about green energy and data centers at Green:Net 2010. Come to Green:Net 2011 to hear more about the intersection of clean power and data centers, to hear about Google and Yahoo’s green data center plans and to listen to NRG Energy (s nrg) CEO David Crane speak about solar and the smart grid. Google is too smart for their own briches. Bravo for Ã¼ber-vertical integration.